It’s not pretty, but it’s functional. At least that’s what Bill Lee, Black Diamond’s waste water project construction manager and city consultant, says of the city’s flushing tank recently erected at the Black Diamond Cemetery. When operational, the concrete box will provide 20,000 gallons of water to flush a siphon in the waste water system along Roberts Drive. According to Lee, there’s a drop in the pipe at Roberts Drive, and waste water has to go up a 24-foot hill before it flows out of the city. The flushing tank will send a rush of water through the system, pushing stray solids through the system. 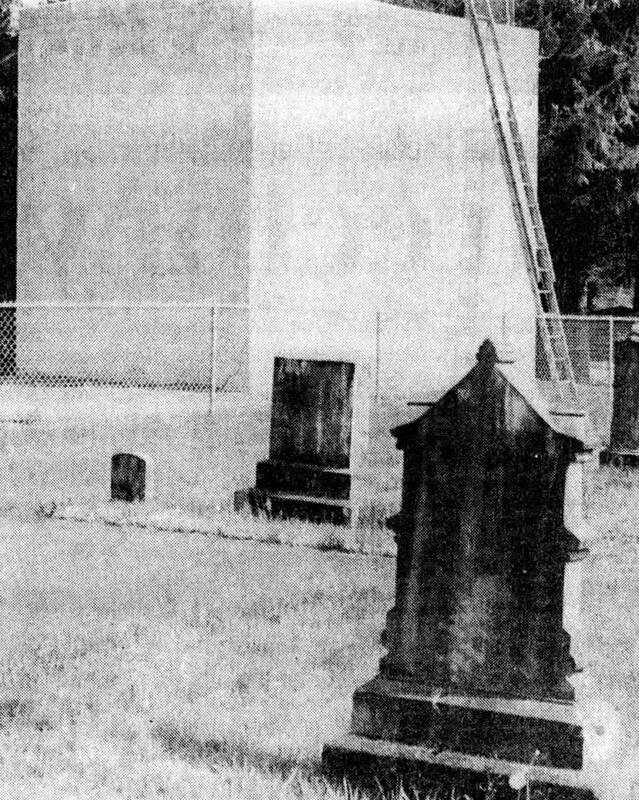 The building is a tall, square concrete box at the entrance of the cemetery. Lee said the community center board and cemetery committee are brainstorming together to make it aesthetically more pleasing, but they could use more input. “There are any number of ideas out there better than what we’ve imagined,” Lee said. Some of the considerations include landscaping, artwork, or a brick veneer like the siding on the pump station near Jones Lake, which is laid over reinforced concrete. Right now, Lee said, improving the appearance of the tank is not eligible for funding. But there could possibly be funding for landscaping. People concerned with the appearance of the structure or who have ideas for its improvement can direct them to the mayor. Work on the waste water project is 90 percent complete. Crossing Cranmar Creek, the final stage, is scheduled for August, after which the system should be completed and operational. 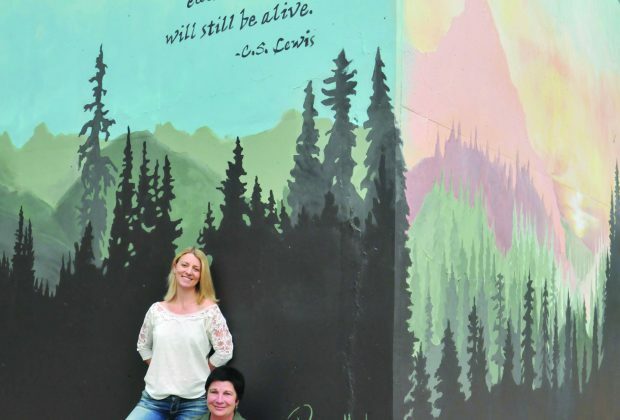 “Black Diamond artists finish mural on Lift Station,” October 3, 2017.